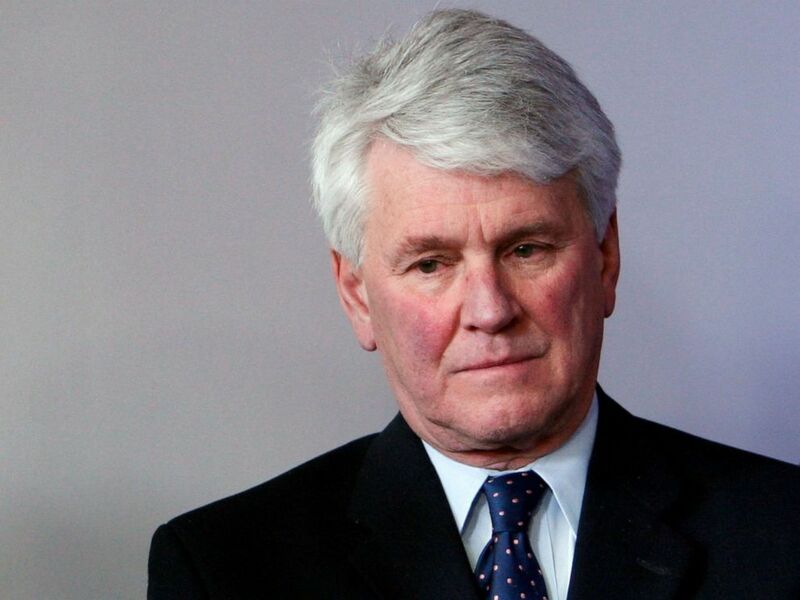 Gregory Craig, a high-profile Washington attorney who served in the Obama White House, formally pleaded not guilty on Friday to alleged violations of foreign lobbying laws for his work in Ukraine. Prosecutors indicted Craig, 74, on charges of “hiding material facts” and lying to lobbying regulators under the Foreign Agent Registration Act, or FARA, on Thursday. In court documents, prosecutors accused Craig of failing to file as a lobbyist for his work in Ukraine in 2012 pursuant to FARA guidelines because “doing so could prevent him … from taking positions in the federal government in the future,” among other reasons. Attorneys for Craig called prosecutors' indictment "unfair and misleading" on Thursday. "It ignores uncontroverted evidence to the contrary," William Taylor and William Murphy, attorneys for Craig, wrote. "Mr. Craig had no interest in misleading the FARA Unit because he had not done anything that required his registration. That is what this trial will be all about." During the course of his work in Ukraine, court records show Craig shared clients with Paul Manafort, the onetime campaign chairman for President Donald Trump who was convicted of engaging in a secretive lobbying operation for Kremlin-backed Ukrainian president. Greg Craig listens as President Barack Obama makes a surprise appearance during the daily press briefing at the White House in Washington, May 1, 2009. On Wednesday, attorneys for Craig issued a statement in anticipation of charges, arguing that Craig acted only “as an independent expert on the rule of law, not as an advocate" for the Ukrainians. “Mr. Craig is not guilty of any charge and the government's stubborn insistence on prosecuting Mr. Craig is a misguided abuse of prosecutorial discretion,” his lawyers wrote. Court documents show Craig “repeated certain of the false and misleading statements” during an October 2017 interview with special counsel Robert Mueller’s office. The special counsel’s office used lobbying violations in half a dozen cases brought against high-profile defendants over the course of his investigation into Russian meddling during the 2016 presidential election. Notably, the law was cited in indictments of former chairman Paul Manafort, who was convicted of engaging in a secretive lobbying operation for Kremlin-backed Ukrainian president back in 2012, and former national security adviser Lt. Gen. Michael Flynn, who admitted to a foreign lobbying violation when he pleaded guilty to making false statements. If found guilty, Craig could face up to ten years in prison. The case was investigated by the FBI’s New York field office and is being prosecuted by the U.S. attorney’s office in Washington, D.C.
Craig has held a number of high-profile jobs in Washington, including as defense counsel for President Bill Clinton during impeachment proceedings and as counsel in the Obama White House. The federal judge overseeing Craig's case ordered parties to return to court on April 15 for a status hearing.